I might like being in my sewing room even more than I like sewing. Sometimes I just sit in there, particularly after I’ve tidied up, and I gloat. It’s tiny, but it is all mine. 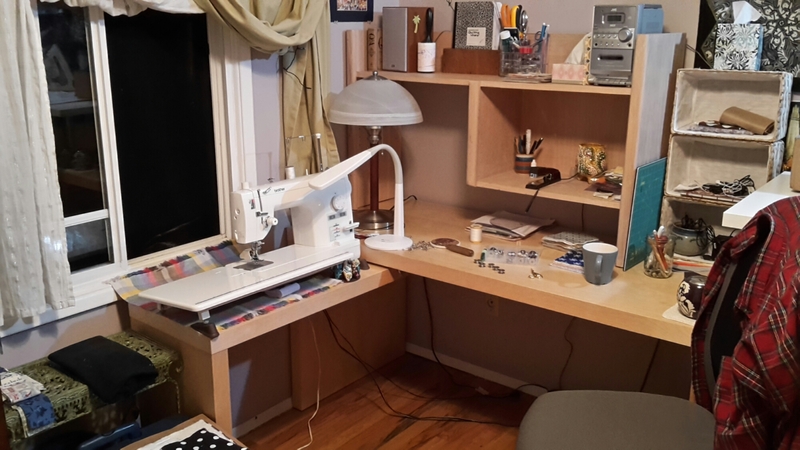 Each new piece of equipment, each rearrangement to facilitate a better sewing experience, and I’m so darn proud of myself! This is my latest project. I’m making an ironing table! I’m mostly following Elizabeth Hartman’s tutorial, and it’s going to be great. I’m going to attach those non-skid things that go under rugs to the bottom of my board so that I can lift it off and still use the table top for cutting if I want to. it will keep me from hogging the dining table when I have something big to cut.